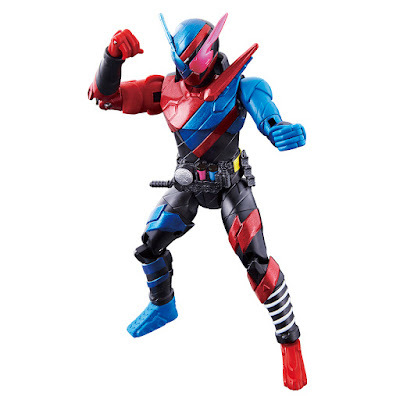 Bandai has posted the official image for the BCR01 Kamen Rider Build figure, next gimmick figure series from the upcoming Kamen Rider series debuting this September 2017. 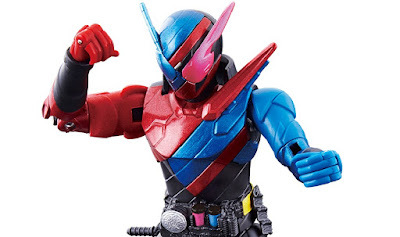 The BCR01 (which stands for Bottle Change Rider) Kamen Rider Build figure will stand at 6" and will feature a button at the back that will separate the figure in 2 pieces so you can mix forms up with other upcoming BCR series figures. The BCR01 Kamen Rider Build figure is scheduled to be released in September 2, 2017 and will cost 3,500 yen. Hmmmm, so we're looking at WFC Kamen Rider W Ver 2.0?